Personal Development begins with self-discovery. You first must find out where you are in order to move on from there. Self-Discovery allows you to gain a deep understanding of your own self, character, needs, values, and purpose in life. It also allows you to be more aware of your interests, hopes, dreams, and potential. Self-discovery involves taking time to deeply reflect on who you are, what you want to achieve, and the person you want to become. 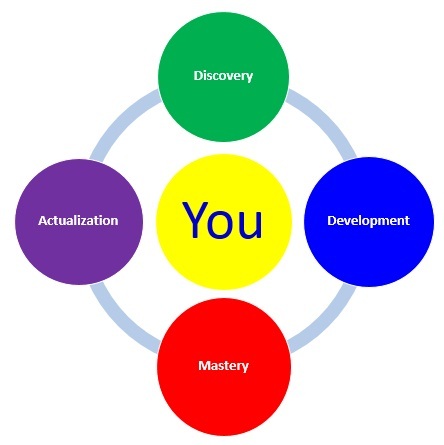 After you discover who you are and where you are headed, you begin the self-development process by assessing your current skills and competencies. This involves gathering information about your aptitude, skills, competencies, and talents and critically reviewing them. This leads to the accumulation of self-knowledge. With self-knowledge you can understand your strengths, as well as identify areas where you would like to make improvements. It basically gives you the information needed to begin self-development. Self-Development is the process of developing specific aspects of your mind and body. It is the pursuit of personal growth by enhancing your physical and mental skills, competencies, talents, and knowledge in order to seek self-fulfillment and proactively reach your fullest potential. 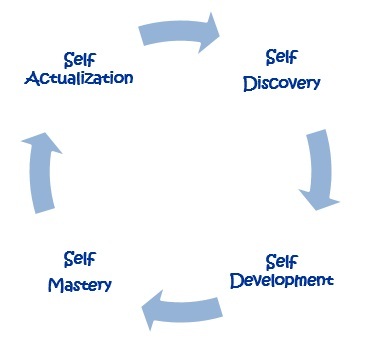 Self-development is the actions leading to self-mastery and self-actualization. Self-mastery is the ability to recognize, understand, control, and make the most out of your physical, mental, emotional, and spiritual self. It is gained thorough awareness, understanding, and control over thoughts, emotions, and actions. As your performance improves, your mastery of your skills and competencies also improve. As your skills improve, you achieve more and your self-confidence increases. An increased self-confidence leads to being happier and feeling more fulfilled in life. You ultimately reach self-actualization and realization of your full potential. As you reach self-actualization you are becoming everything that you are capable of becoming.